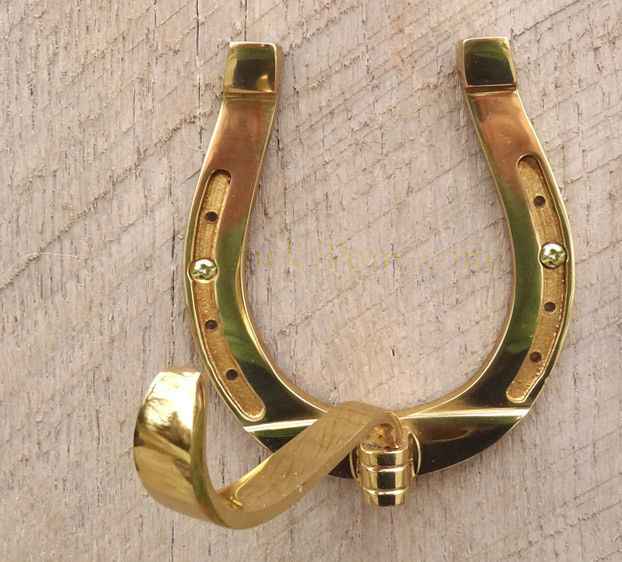 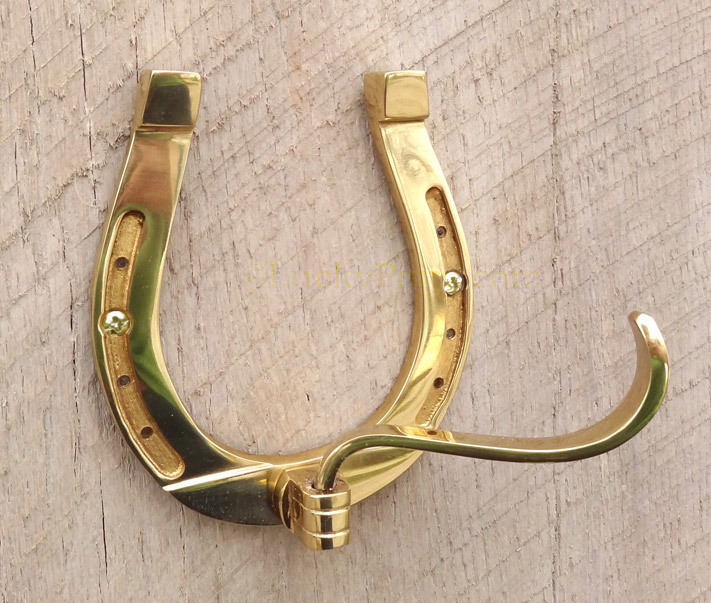 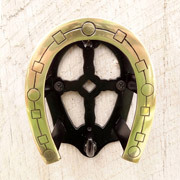 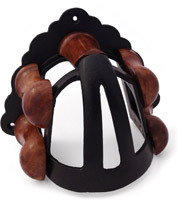 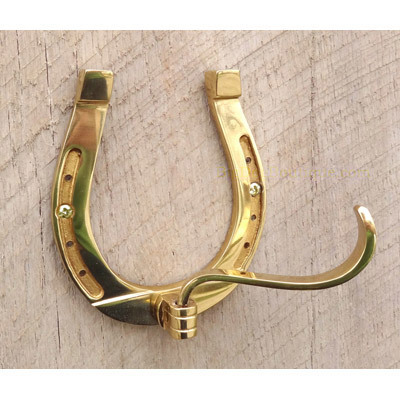 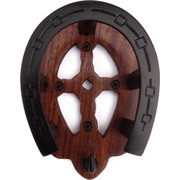 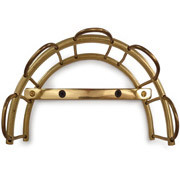 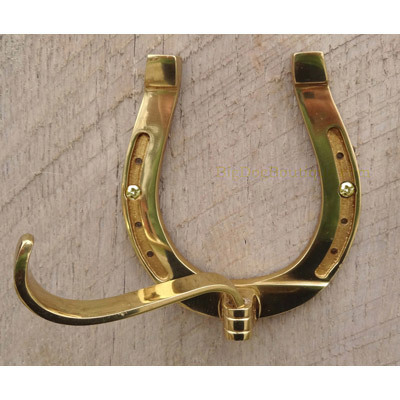 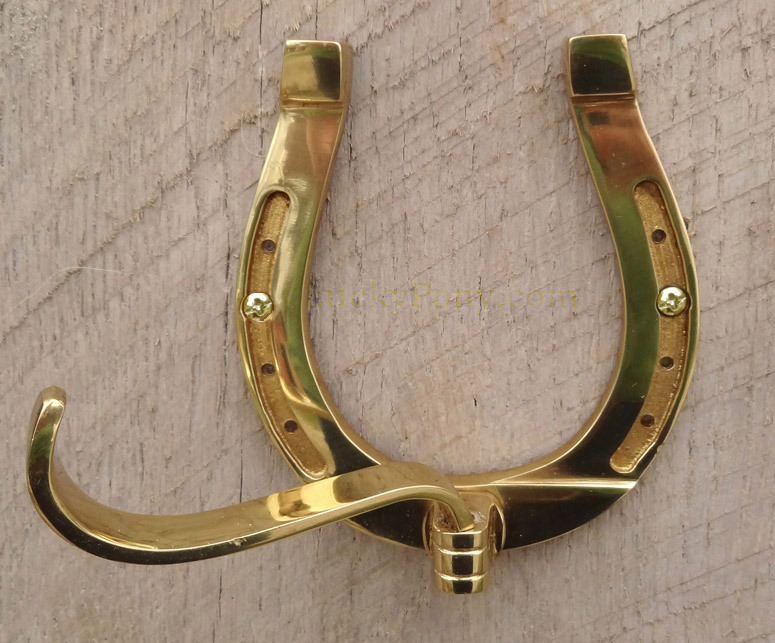 This handy horseshoe shaped hook has a swinging arm to hold all your extras. 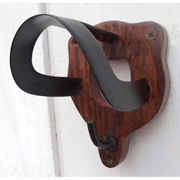 We love this hook because of it's impressively helpful extended hook that slides out of the way when not in use (or when bumped!) 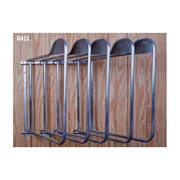 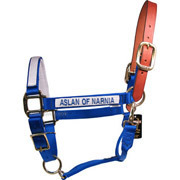 helping prevent banging your arm or shoulder in a crowded tack room. 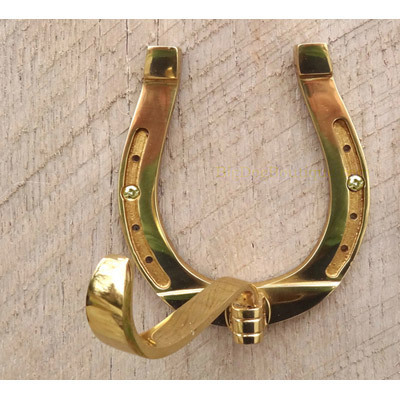 Brass only.